Only two weeks are left till the madness launches in Bratislava and the organizators of Sony Xperia Freestyle X-Night keep revealing hot names on the Rider list. Girls, if your weaknesses are French guys, then get ready because David Rinaldo comes to the town! Yes, Mr. Rinaldo is about to set the audience on fire on November 3. 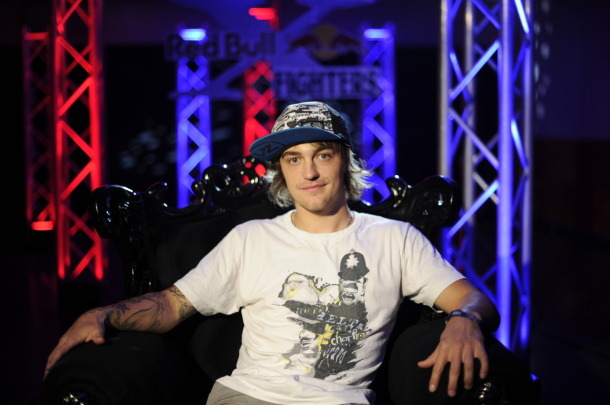 This 22 years old guy has already been to many FMX events and had been even invited to Red Bull X-Fighters. It’s an unusual turndown to have two Red Bull X-Fighters riders at one event in Slovakia. That’s a sign the situation in this country gets only better and better considering FMX. I can’t wait to see Rinaldo’s famous Double Seat Grab Backflip live. Also, the youngest Czech FMX rider is about to stand up the adult competition. Matěj Česák cannot be ruled out of this event. The rider list already looks pretty strong and I believe it’s not everything. I must say, it keeps getting better and better.